Sustainable Energy - Industries - ZT | Zippertubing Co.
With a broad range of energy technologies, whether it be sustainable, renewable, or alternative, there could be an even broader range of problems when striving to be efficient and seeking to find products that will correctly protect your components. Sustainable, alternative, and renewable energy offers a large spectrum of different technologies that may be involved to produce hydroelectricity, solar energy, wind energy, wave power, geothermal energy, bioenergy, tidal power, or energy efficiency. The Zippertubing® Company understands the complexity of these technologies, but we also understand that when you chose to use these types of energy technologies you are searching for safer ways to cover, bundle, and shield them. In the past, everything that covered, bundled, or shielded contained some type of PVC, which has an impact on the environment, but today there are many other materials available that have a much smaller footprint, and Zippertubing® can offer you that. Here are just some of the products we have related to the Sustainable Energy industry! 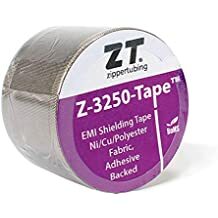 Whether your application is new or existing, Zippertubing® offers indoor and outdoor, high- to low-voltage, wrap-around or pull-through cable management, EMI, and thermal protection against any element. Improve the way that you currently bundle your hydroelectricity, solar energy, wind energy, wave power, geothermal energy, bioenergy, and tidal power wires or cables. Don’t miss out on the loss of your sustainable energy by choosing the wrong cable protection! From small- to large-scale manufacturing requirements, Zippertubing® has the resources and expertise to produce quality products that are delivered to you on time. Is your team looking for something custom, but you don’t really know where to look? Look no further! Our team of highly skilled engineers will work with you and your team to produce a prototype based on your needs. Why use Zippertubing's Cable Management products in the Sustainable Energy Industry? Additional shielding for high power transmission lines. 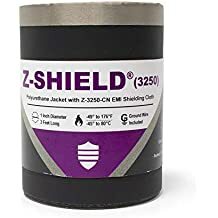 EMI shielding for instrumentation and sensor wiring that is adjacent to generators, motors, and power lines carrying high voltage or high current. Cable bundling that can handle harsh environments with high wind, moisture, or UV exposure. Water blocking adhesives and waterproof solutions for applications near water or underwater. Highly flexible cable bundling and shielding for applications in motion or experiencing high levels of vibration. Cable repair and protection for photovoltaic system wiring. High-temperature bundling and protection for components supporting thermal solar generators. Battery terminal and wire protection for electricity storage systems.